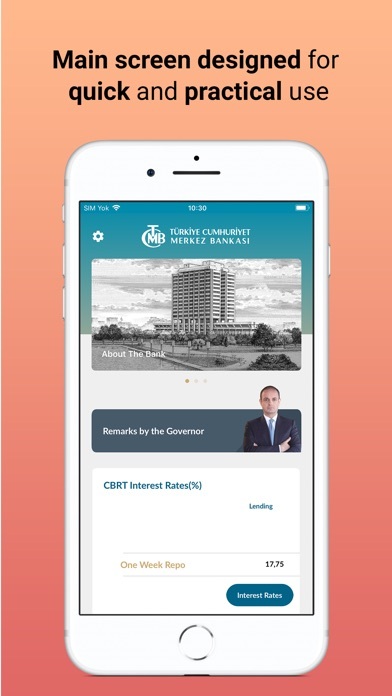 The official Central Bank of Turkey (CBRT) mobile application enables even easier and faster access to the most visited pages of our website. 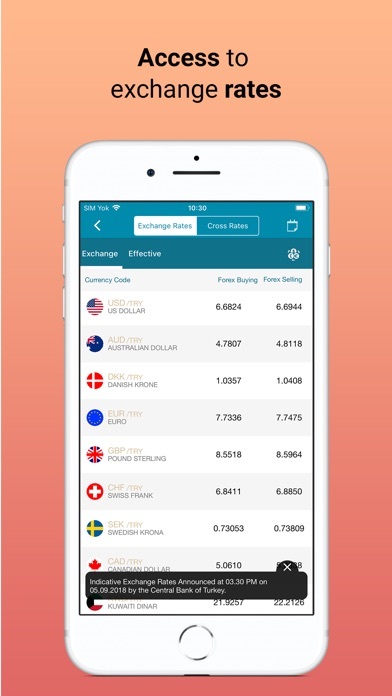 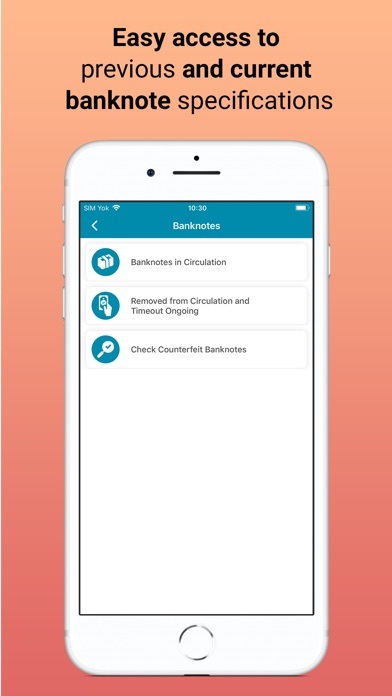 With this app: * You can keep up to date on our press releases, * You can download important publications such as the Inflation Report, Financial Stability Report etc., * You can examine tables pertaining to selected statistics, * You can reach CBRT Exchange Rates and perform a range of calculations, * You can get information about the security features of the banknotes in circulation. 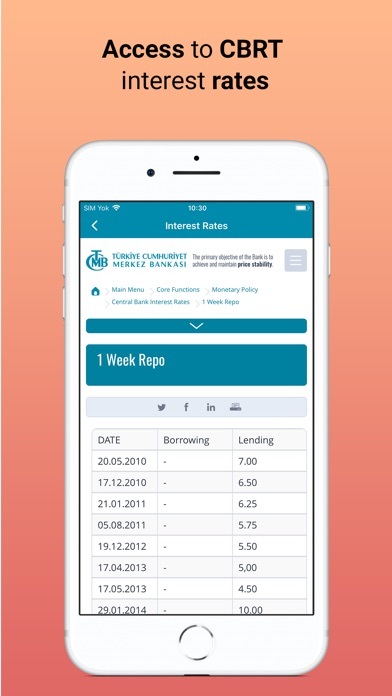 Furthermore, the app provides detailed information on the history of the CBRT, its management, and the TL sign. 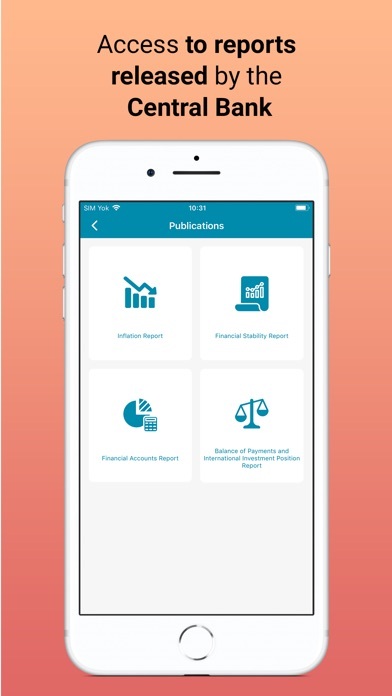 The application is free of any charge and is suited to individuals and professionals. 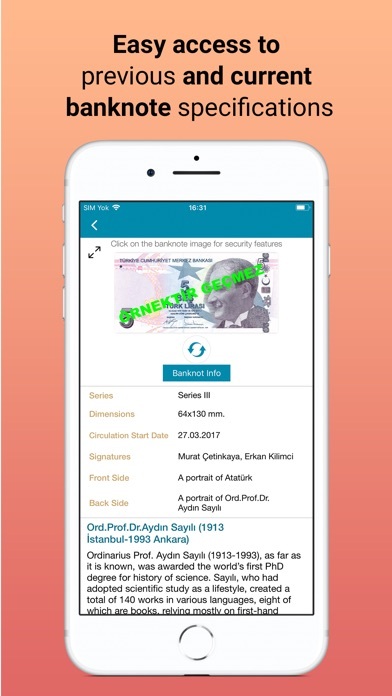 The application is available in Turkish and English.